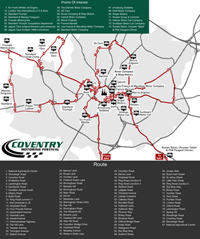 Coventry has always been known as the motor city, but it has been far much more, to so many more people over many decades. Let's jazz things up a little and make it a weekend for everyone to remember. This should be a great charismatic event in the City. We need to make this the Go To event in the City calendar, so that we get the right people wanting to support this great annual event. The festival that we have enjoyed over the last few decades has gotten bigger and better every year and this year should be no exception. A lot of people in Coventry are still so passionate about motoring and we’ve had over 2500 cars at any one event and plenty of members that share that passion. Coventry has a lot to be proud of and this type of event shows some of it off, but really, we should show it all off to the wider world.